I never liked games much as a kid. Most of them were boring with little strategy. The ones that did engage some strategy seemed designed to make one person feel awesome for winning and everyone else had be losers. So, I avoided games for years. Still don’t like board games, although I’ve since discovered things like D&D that are technically a game but are cooperative and a lot more fun. My husband has loved board games his whole life, so he really wants our little ones to love games with him. Then, he’ll finally have someone to play with. He introduced DD1 to Candyland. Which, she promptly cheated at. She got bored quickly because she knew her colors and how to count to two, so DH started trying to make up new rules to help her learn strategy. For example, she could pick two cards instead of one and select whichever card she wanted to play. This lasted for a little while, but she quickly grew bored of the game. So, he got her My Little Pony chutes and ladders. We all know how much DD1 likes MLP. Again, her interest lasted for a short while. Her learning curve was well past counting to six (she’s always been precocious), but the real issue was when she started looking at the pictures. She stopped wanting to play the game because she didn’t think the ponies would do all the bad things they were depicted doing to get sent down the slide. Santa brought her some more games for Christmas, most of which were not terribly interesting to her. She played Guess Who for a while, intrigued by the differences in hair color, costumes, and faces of the people. But after a few months, even that wore off. Then I stumbled across a game called Hoot Owl Hoot. I’d never heard of it, but the premise was intriguing. A cooperative game where children play with their parent on the same side, and in the process, learn more advanced strategy instead of just basic numbers and colors. I bought it, and it arrived in two days. My daughter loved it! She would play three or four games of it before getting bored, and you could see her progress with strategy. 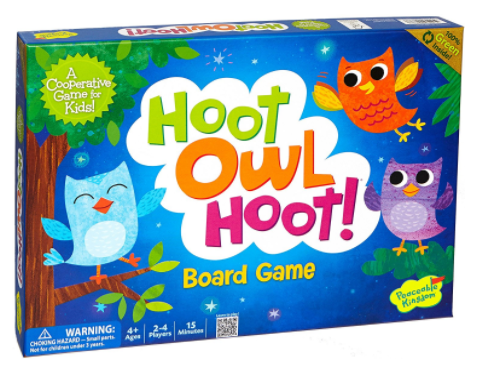 When we lost, which we sometimes did depending on the difficulty level she chose, we’d say something like, “Those silly owls didn’t make it home before dawn.” Then, we’d set the game up to play again. No tears. Sometimes a little frustration, but never anger. Losing tended to make her just want to try again, with an adult’s help, of course. This company makes other games as well, and she enjoys most of them. Hoot owl Hoot, though, is a favorite. Doing a little research told me that she was behaving perfectly normal for a child of her age. Most kids aren’t ready to be okay with losing until they’re at least seven or eight years old. Even then, it can be a tough lesson. I can see that she has the makings of enjoying games, especially games like Zelda. DH could probably even get her interested in role play games like D&D in a few years. 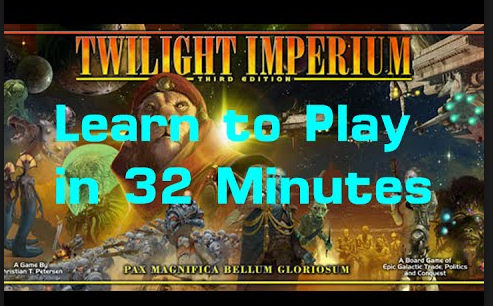 But I think she might have too much of me in her to ever be willing to sit down and play Twilight Imperium. And this is the express version. The manual is longer than novels I’ve read. Sorry, honey, she got half my DNA. 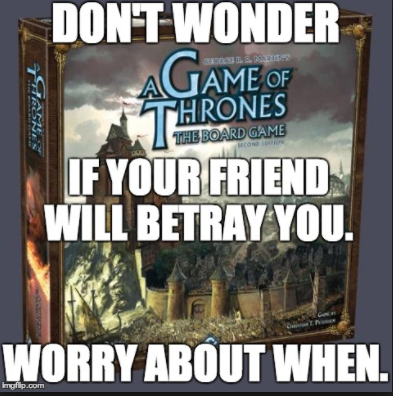 How about you, do you love board games? Hate them? Do your kids or grandkids like them? Any good ones for precocious preschoolers I should check out?